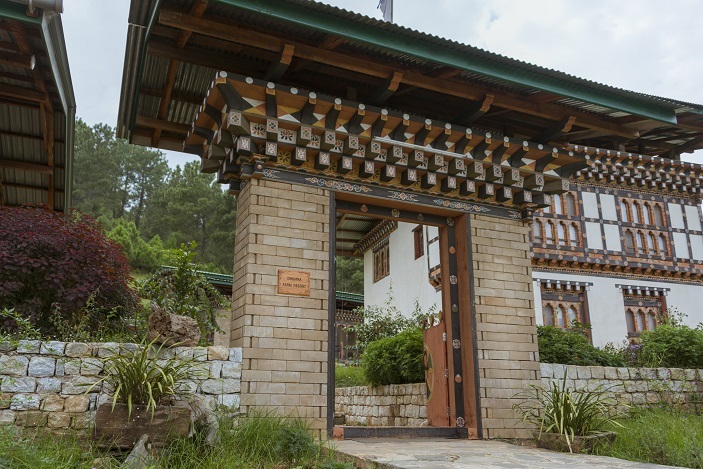 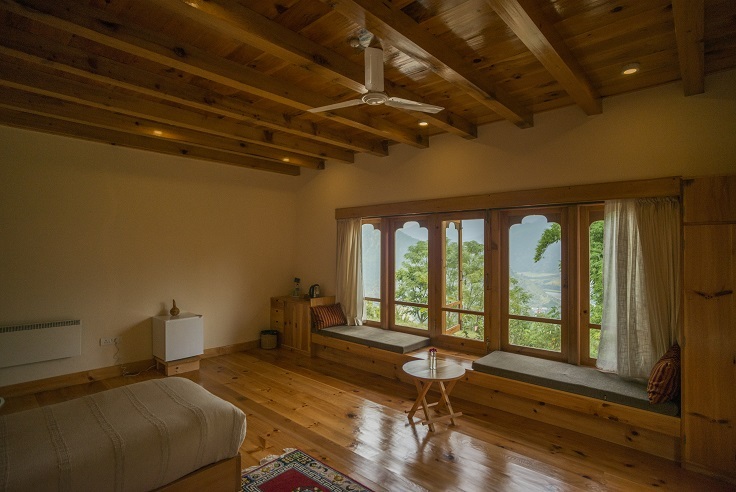 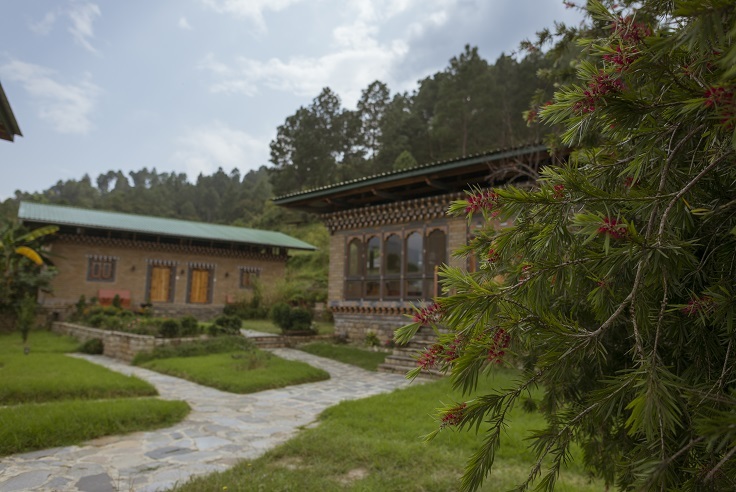 Dhumra is a wonderful farm resort towering over Punakha Valley. 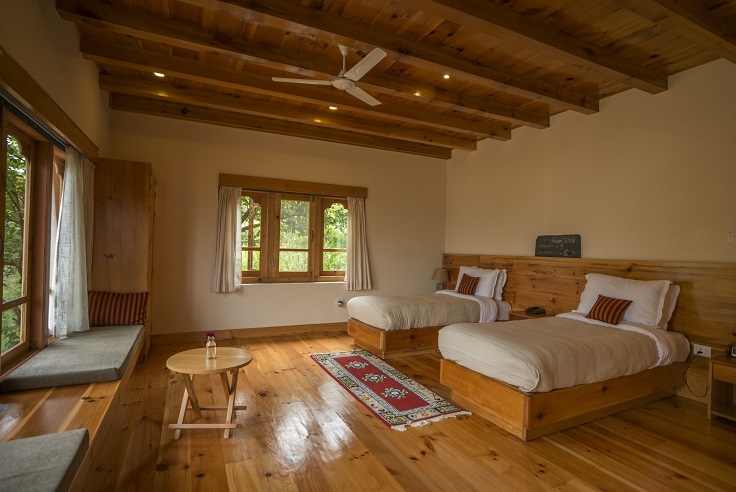 This is the ideal place for those who want to get a glimpse of the village- and farm life but are not quite ready to do without the amenities of a full-fledged lodge. 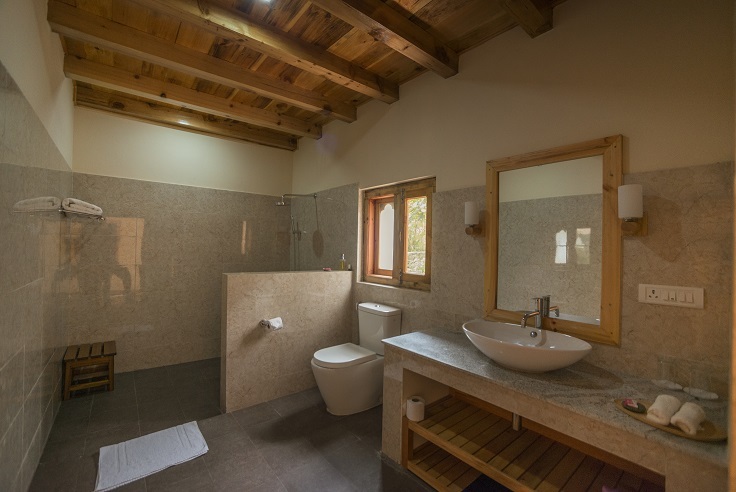 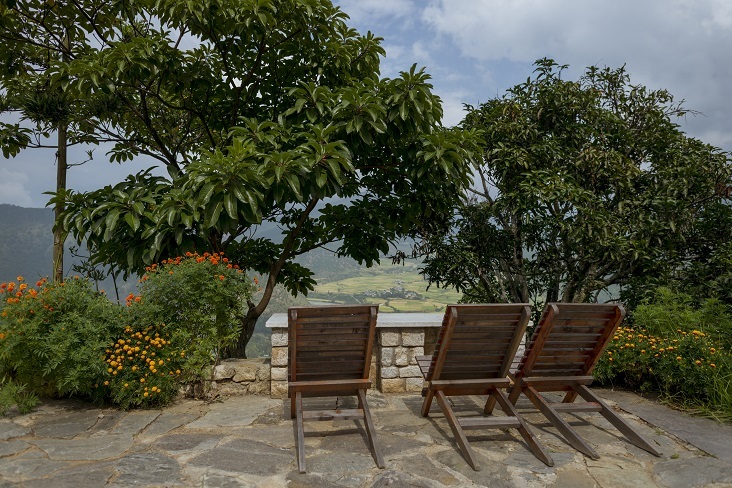 Enjoy a hot stone bath with a picturesque view of Punakha valley, get your veggies straight from the garden onto your plate, have your privacy when needed and meet with the locals when desired. 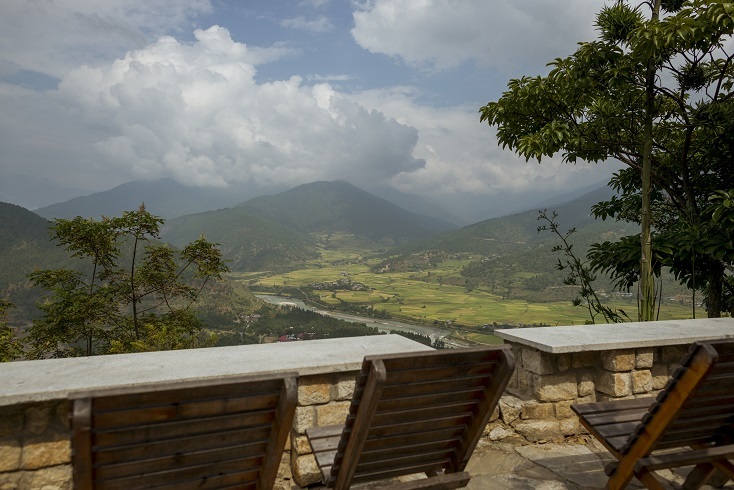 Several hikes are possible in the vicinity, such as down to Punakha Dzong after a hearty breakfast or to Talo village.